Through our growing sober community you can learn from others and contribute by sharing insights and tactics that have worked for you. To visualize how long you’ve been sober. Take a pledge every day. Sobriety is a 24-hour struggle, so start your day off by making a pledge to stay sober. Then you can review how your day went and log notes at the end of the day. View how much money & time you’ve saved by being sober. Recap each day and find patterns that made your day easier or more challenging than the last. Either with others or for yourself, take photos and journal your progress directly in the app. Then choose to share it or save it as a reminder for yourself. Track and celebrate your milestones from 1 day, to 1 week, to 1 month and beyond. Compare experiences with others on their sober journey. Read how they felt at this milestone and what you can expect. If you’re struggling, share your story and invite others to offer help or advice. When you create an account and declare your addiction, you can instantly see a withdrawal timeline to get an idea of what to expect for your next few days (and weeks). What’s more, you can contribute to it. See how many others saw an increase in their restfulness vs those that saw an increase in anxiety. Prepare yourself for what’s to come in recovery. You set the time, your sober birthday, the category of motivation you need, the addictions you’re trying to break, even the end-of-day summaries. Make the app customized to your lifestyle and tailored to your needs. If you’re struggling to stay sober, view the additional resources and find rehab centers or therapists near you. Staying sober isn’t easy; it takes a large network of support to quit drinking or stop doing drugs. 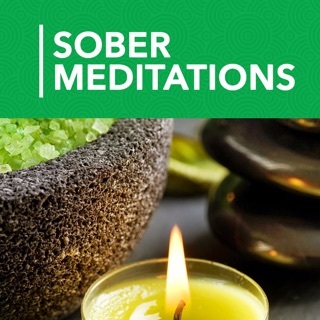 The I Am Sober app is meant to connect you in as many ways as possible so you have a 24 hour companion and a wide network for your recovery. - Added a Done button to every step in the review flow so you can finish at any point without having to go through all steps. - Fixes a bug that would prevent you from scrolling on your notes or submitting a story. - Made the Post My Story button more findable. - Added an intro screen to the reset flow. - Added two new motivation packs - I Am Timeless, and I Am The Way. - Added a link to share the app via your Settings. I decided to try going a few months without alcohol, mostly just to see if I could. A friend suggested this app and despite being skeptical I installed it and have been giving it a go. I don't know why but it's worked for me very well indeed. I doesn't do much more than track how long since you admit last having had a drink and congratulate you for achieving milestones, but it really has helped me get through a couple of shakes moments. When change comes knocking - real change - it’s deafening. This app harnesses those great winds of change, tracks the benefits and becomes your daily or hourly champion to keep up the great work. Thank you. We all need someone who’s got our back: this APP is so there... 10 stars! When you’re on this journey and aren’t yet willing to share your challenge, in case of another failure, this app is a trusty encouraging sidekick without being sanctimonious annoying preacher.